Residential roofing is specified in the International Building Code and the International Residential Building Code. The standards set forth are important for the health, safety and welfare of the structure's inhabitants. Almost all areas of the country require roofs to be constructed to this quality or higher. The roof must be sheathed with exterior grade sheathing fastened with 8 penny nails at 6 inches on center along the edges and 12 inches on center on the face of the sheathing. The sheathing must be selected to match or exceed its stamped span rating listed on the board. An 1/8-inch gap must be provided along all edges of the sheathing for expansion of the material due to temperature and weather changes. Fire-retardant wood roofs must be labeled by a test agency, and all roof materials must be stamped with identification and testing agency marks. Flashing is required at all roof intersections, corners and elements that break the plane of the roof. Furthermore, crickets--a ridge that diverts water--are required on a sloped roof at any obstruction of the roof plane. Drains must be installed at all roof low points unless at the edges where gutters may be installed. 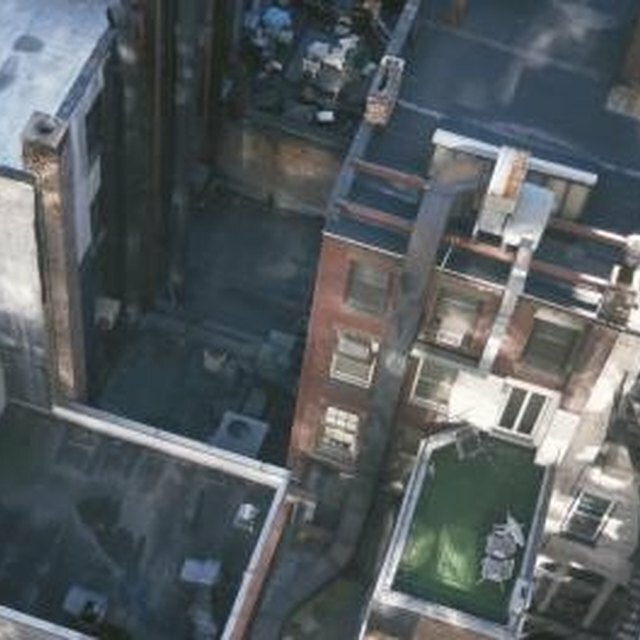 Asphalt and gravel built-up roofs must have a slope of 1/4 inch rise, or greater, to 12 inches run with drains at low points and secondary drains 2 inches above the low points of the roof Mineral-surfaced rolled roofing can only be installed on heavily sheathed roofs to avoid puddling due to roof deflection. Rolled roofing can be applied to a slope of 1 inch rise, or greater, to 12 inches of run EPDM roofs must be marked with the ASTM 4637 designation every 13 feet, and the EPDM seams must be flat, flush with the roof surface, and have no ripples. EPDM roofs must also have drains at the low points of the roof and a secondary drain 2 inches above the low points of the roof. Wood shakes and shingles can be installed on a roof with a slope of 4 inches, or greater, to 12 inches. These shakes or shingles must be fire-retardant or noncombustible. Asphalt shingles can be installed at a minimum slope of 2 inches rise to 12 inches run, although slopes less than 4 inches run to 12 inches require a double underlayment. The shingle fasteners must penetrate 3/4 inch into the sheathing, and there must be at least four fasteners per shingle. Modified bitumen must be applied on the roof 12 to 24 inches inside the roof surface projection of the building's footprint. Valleys require at least a 36-inch wide valley underlayment lining. Drip edges and rake flashing must be installed at all edges of the roof. Tiles and slate can be installed on a roof with a minimum slope of 2 1/2 inches rise to 12 inches run. The roof requires flashing at all intersections and penetrations, and an ice dam membrane must extend 12 to 24 inches inside the line of the roof surface projection of the exterior walls. All fasteners must be corrosion resistant, and they must extend 3/4 inch into the sheathing. All valleys must have a 36-inch wide valley underlayment lining.